Cisco VPN Phone? Cisco Unified IP Phone? Are they the same or similar? How much do you know about the Cisco IP Phones? Well, in fact, the Cisco VPN Phone is a Cisco Unified IP Phone–based VPN solution that extends the reach of your Cisco Collaboration solution to outside the logical perimeter of your organization. 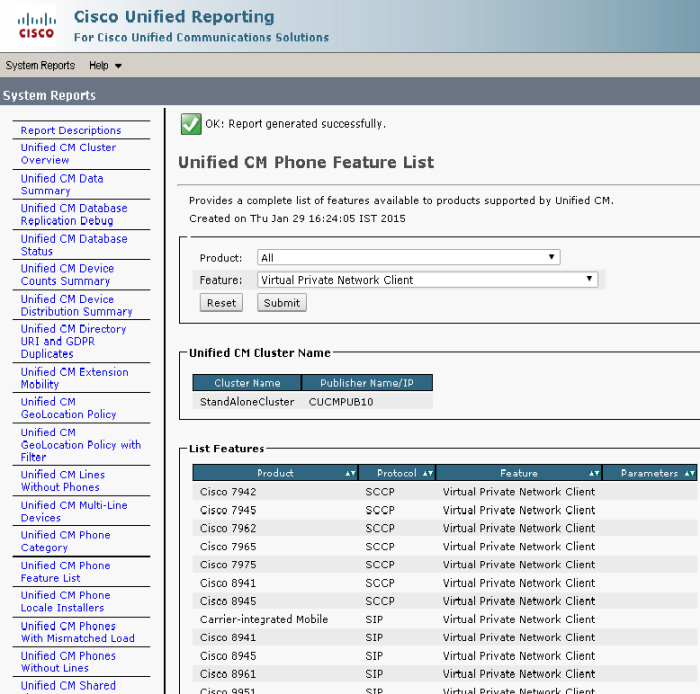 Cisco VPN Phone enables remote connectivity with a CUCM cluster for signaling via SSL on the Internet and RTP with an IP Phone within the enterprise premises without extra hardware. 1. Log in to CallManager and choose Unified OS Administration > Security > Certificate Management > Upload Certificate > Select Phone-VPN-trust in order to upload the certificate file saved in the previous step. Select the VPN gateway in the VPN group created. 4. Configure the VPN Profile under Advanced Features > VPN > VPN Profile. Device > Device Settings > Common Phone Profile. 6. If you created a new profile for specific phones/users, go to the Phone Configuration window. In the Common Phone Profile field, choose Standard Common Phone Profile. 7. Test whether the VPN works internally. 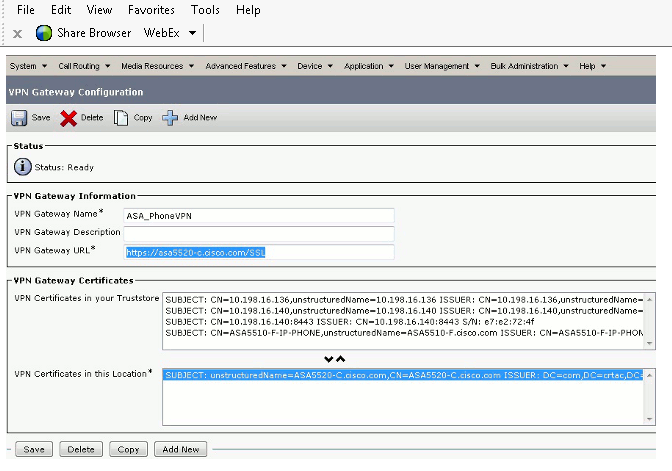 Configure the Cisco Unified IP Phone with a TFTP server manually and register the IP Phone for testing. 8. 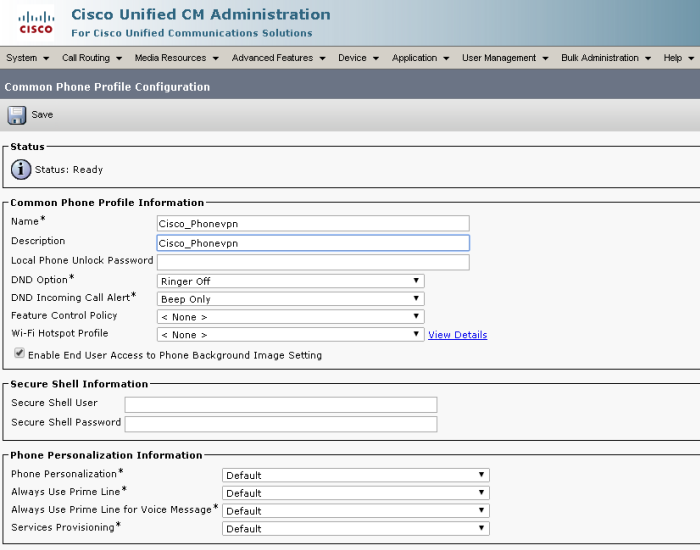 On the Cisco Unified IP Phone, go to Settings > Security Configuration > VPN Configuration. Enable VPN and use your credentials/certificate to establish a VPN connection. Check the status of IP Phone registration on CUCM using VPN IP address. 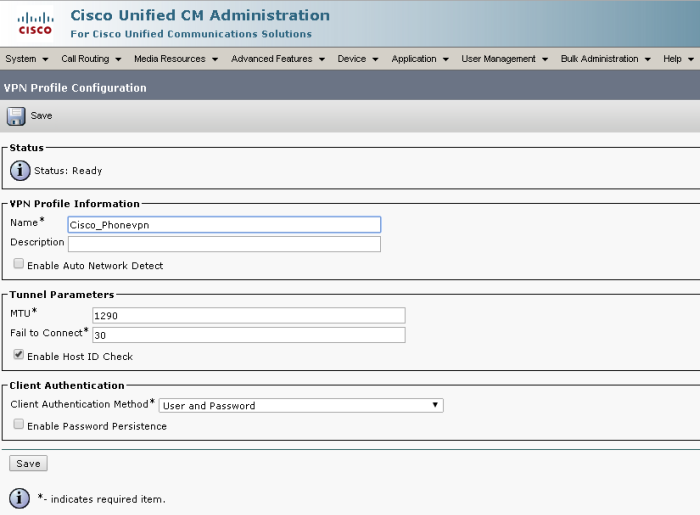 How to Use a Cisco Unified IP Phone 8831?